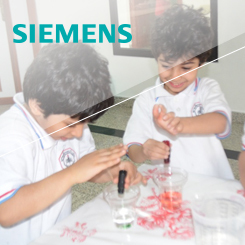 Siemens Discovery Box - National TalentS Co.
Siemens Discovery Box is a mobile program targeting teachers to provide them with the tools to enable interactive teaching. The program was conducted in rural areas around Riyadh, Dammam, and Jeddah and served more than 2,000 teachers. Client: Siemens & Saudi Aramco .